I gently push myself up as I slowly slide further backwards down a slip-n-slide of a small but steep trail bank. Assessing the damage of my fall, I unsuccessful try to wipe off some of the mud caking the leg that just buried itself several inches into the wet earth. With sore hip flexors and tight legs, it was then that I had my first doubts about finishing and it was only mile 8. The night before I sat with about 100 other racers listening to a panel of North Face sponsored athletes and race directors for a pre-race discussion. Outside the skies had opened and the streets of Georgetown were flowing rivers during what would be a 4 hour tornado watch. It poured for at least six. 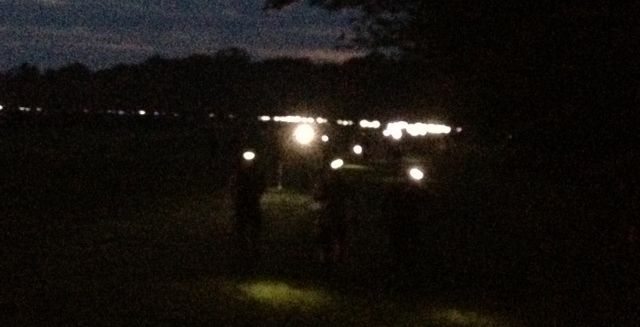 The gun went off at 5:00 am with about 300 50-mile racers under beautiful clear skies. As we took off into the dark woods along a gravel road, adrenalin was pumping and everyone was feeling excited. Around mile 3, we hit our first real patch of mud, which didn’t let up for another 6 or so miles. Now, I’m not talking about fun splashy mud, I’m talking about the kind of mud which makes braking nearly impossible and sliding inevitable. For the first several miles I was putting in an 8 and half minute mile effort but clocking 10 minute miles. People were going down left and right, shoes were sinking deep within the mud suction cups, and those small balancing muscles I only use during yoga were getting a real work-over. We were all frustrated, and I think many of us were doubting 50 miles of this mess. But, with time, the trail began to change. As we approached the rocky trails of Great Falls National Park, the mud began to show itself less and less. Finally, we could really run. And run we did, for miles and miles. The course contains 3 ~7 mile laps around Great Falls. Much of this is very runable, with a few hills and some extremely rocky sections by the river which forced a little hiking. For the most part these laps went pretty well. I was greeted at the entrance of the park by my mom and Katie, who were more excited to see me at 7:00AM than I knew was possible, and again at the end of each lap where they sat eagerly waiting my return. When running back into the main part of Great Falls to start lap three, I was met by not only Katie and mom, but Alex, who would be my pacer for the last 15 miles, and his girlfriend Meg. It was wonderful to have such a large welcoming committee, and forced me to focus and gear up for the second half of the race. Lap three started my first downturn, when around mile 32 I had some pretty major stomach cramps. I needed a break from the Gu, so I downed some salt, boiled potatoes, and a peach. The sweet juices of the peach have never tasted better. Just before leaving Great Falls I picked up Alex. With 15 miles left in the race, this would be Alex’s longest run as well. We started out at a nice pace, but hiked some of the major hills at the beginning of this section. I was feeling pretty good, and more than excited to be the hell out of Great Falls. Then came the mud. That damn mud. It was certainly better than the morning, having dried out a bit, but I found myself with little patience for not being able to really run. It was around mile 42 that the frustrations and the realization that I still had over an hour of running really started to sink in. Alex’s encouragement, guidance, and patience with me taking a few hiking breaks helped me through. It was here that I also started dedicating miles to loved ones. My college friend, Chris, told me (I think jokingly) to dedicate a mile to him. That was actually a real savior, as I could count down the final miles by running them for the people who support me in times of need. I was reminded that all this pain, suffering, and exhaustion had meaning. We knocked out a few slow miles leading back to the final aid station just 1.7 miles from the finish. At this point every 50 mile racer was already congratulating each other and the celebrations were beginning. I grabbed my last handful of chips, gave Alex a high five, and we took off. The last mile flew by. The only time of rest came when we crossed the last stream. 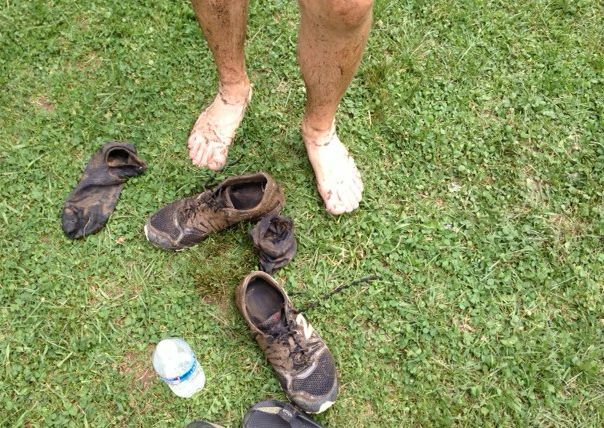 I took a moment to clean the mud off my shoes and legs. “I want to look good for my lady” I said to Alex, not realizing we still had several puddles and patches of mud before actually finishing. And with that, we made our way to the finish shoot. With one last high five, my arm lifted in the air, and with Katie, mom, and Meg screaming us on, I crossed the line. 50 miles worth of suppressed emotion and pain came flowing out as Katie met me with a hug. A moment I will never forget. This was more than just a race, it was a journey in every sense of the word. A huge thank you goes out to all of my friends and family who supported me both in person and virtually over this run. Katie and Mom, it was knowing that you guys would be waiting for me that helped to keep me going. Alex and Meg, thanks for coming out, cheering me on, and Alex, I’ll never be able to repay you for keeping me going, pushing me up muddy hills, and just being there for the low times. 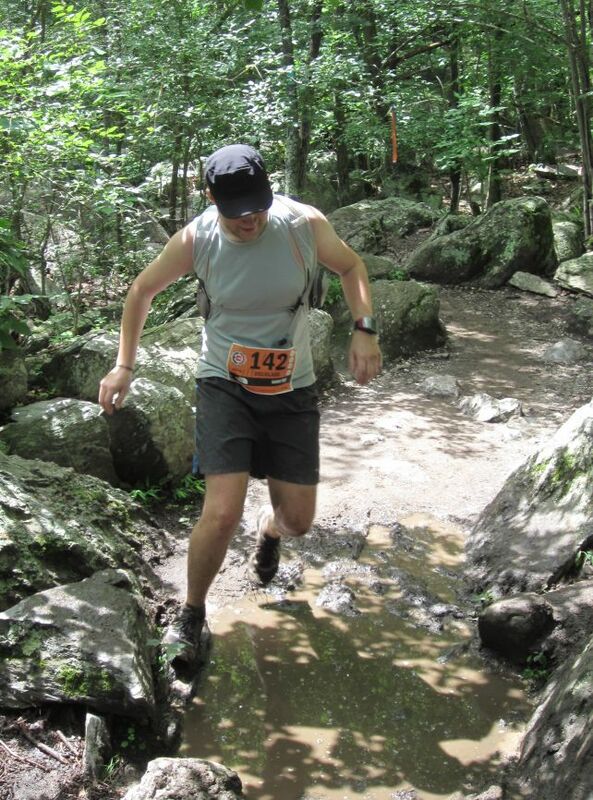 Also, The North Face Endurance Challenge puts on a great event. If you are looking for a place to run your first ultra, I would recommend them hands down. Updated: Tim Woodbury Interview and Cookbook Giveaway! How to Survive a 30 Mile Training Run – And Enjoy It! Congrats Doug! I like the idea of dedicating miles to people; I’ve never thought of that. Mile 42 is about when I hit a mental wall at TNF too. Great memories triggered by your post. Congratulations again; you’ve got me wanting to run another ultra. I totally felt like I was going to fall off the cliff the last time around. By that point I no longer cared about being careful and just wanted to get through it. I clearly remember looking down one time and realizing I was only a foot or so away from dropping down into the falls. Oops. I hope that you find that next ultra and go after it! Awesome job out there! I was at the race too and HATED the mud. I ended up doing a bit of damage to my right leg in one of my falls and bailed out at 21.7. Hoping for a sunny week the next time I attempt 50 miles. You should be so proud of yourself, that mud made every mile feel like double the work on an already challenging journey. Thanks Steph – That mud was pretty awful. I’m sorry to hear that you had some troubles, but congrats on the effort! 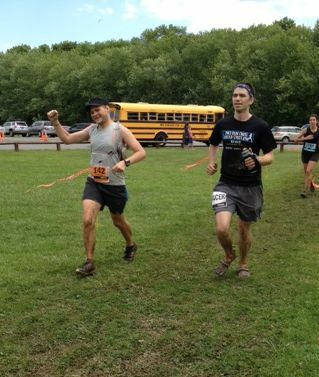 21 miles through that mud is more than an accomplishment.